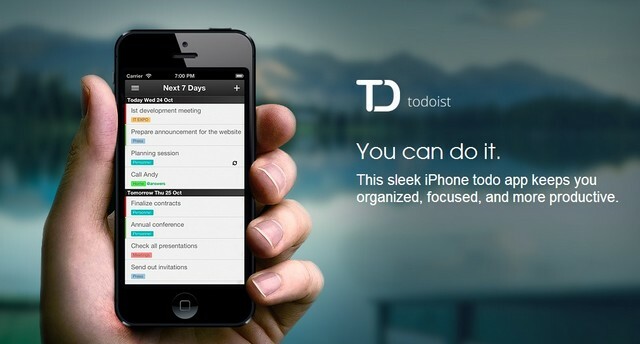 Todoist a powerful task manager for personal productivity. Lets you manage tasks from your inbox, browser, desktop, or mobile device. For people who know great accomplishments are built through small daily tasks. Faster You’ll enjoy super-fast performance thanks to Todoist’s exclusive HTML5 technology. No lags, no wait-times — just superfast response times every time. HTML5 allows Todoist to store a copy of your data locally, so you never have to wait for it to reach a remote server. Manage projects of any complexity by creating nested-tasks, adding deadlines, assigning priorities, and using color-coding. Todoist features everything you need and nothing you don’t. No internet connection? No problem! You can access your tasks and stay totally productive whether you’re online or offline. Big projects. The little stuff. Important meetings. Recurring deadlines. Every task takes you closer to accomplishing great things and Todoist helps you record, manage and complete those tasks effortlessly. Todoist automatically synchronizes your tasks across all your devices – smartphones, tablets, laptops, desktops – so you always have up-to-date access. This looks GREAT Amit! I wonder if I should add this app, when I prefer to add the necessities to my calendar. Basically when we talk of the productivity then the work comes on the first priority basis and that as to get done up without hurdles on the way, we look out for all possible means. Its pretty good to have the tool that are automated to work out rather than having those things done up manually. Basically a task management software or tool is the one such way that is being proved the best to get thing done up with high level gain in the productivity.